The New York Times Bestseller An Entertainment Weekly Best Middle Grade Book of 2016 A New York Public Library Best Book of 2016 A Chicago Public Library Best Book of 2016 An Amazon Top 20 Best Book of 2016 A Publishers Weekly Best Book of 2016 A School Library Journal Best Book of 2016 Named to Kirkus Reviews Best Books of 2016 2017 Booklist Youth Editors Choice Every year, the people of the Protectorate leave a baby as an offering to the witch who lives in the forest. They hope this sacrifice will keep her from terrorizing their town. But the witch in the Forest, Xan, is kind. She shares her home with a wise Swamp Monster and a Perfectly Tiny Dragon. Xan rescues the children and delivers them to welcoming families on the other side of the forest, nourishing the babies with starlight on the journey. 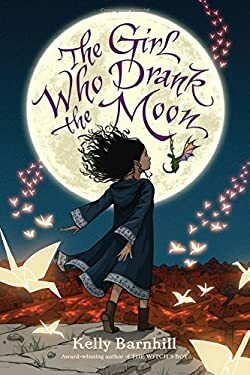 One year, Xan accidentally feeds a baby moonlight instead of starlight, filling the ordinary child with extraordinary magic. Xan decides she must raise this girl, whom she calls Luna, as her own. As Luna s thirteenth birthday approaches, her magic begins to emerge--with dangerous consequences. Meanwhile, a young man from the Protectorate is determined to free his people by killing the witch. Deadly birds with uncertain intentions flock nearby. A volcano, quiet for centuries, rumbles just beneath the earth s surface. And the woman with the Tiger s heart is on the prowl . . . The author of the highly acclaimed, award-winning novel The Witch s Boy has written an epic coming-of-age fairy tale destined to be a modern classic." New (1515 available) BRAND NEW. Over 1.5 million happy customers. 100% money-back guarantee. Make your purchase count: support Better World Books' worldwide literacy partners.